When I started fishing from my kayak, I carried everything except for my waders. I could barely paddle and my line often got caught and tangled. 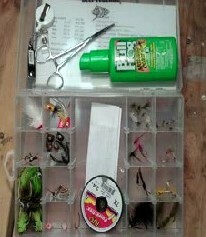 I quickly learned how to keep it simple but effective, by scaling down and putting all my gear into … [Continue reading] about What’s in Your Fly Box?